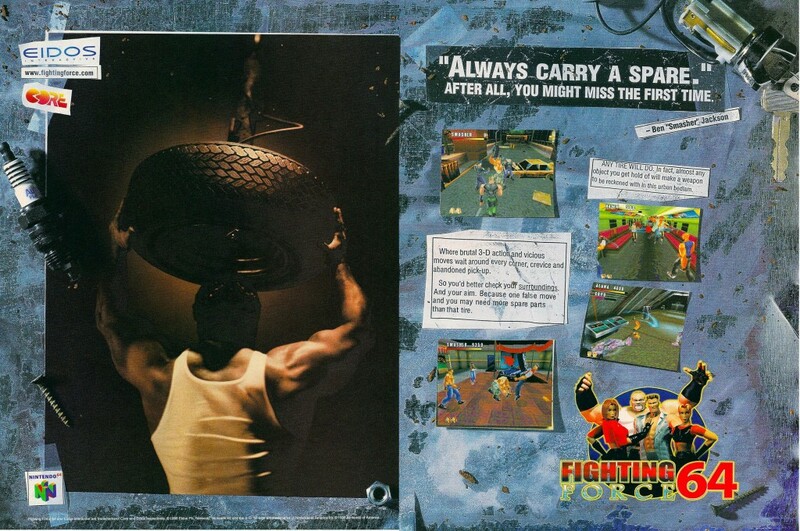 Fighting Force is a good example of a middling game with a clever advertising campaign. The Nintendo 64 port was released almost two years after the original PlayStation release. The game was actually originally intended to be Streets of Rage 4, until Sega and Core Design ran into issues regarding porting the game to other platforms, which resulted in the completed Saturn version of the game never being released.